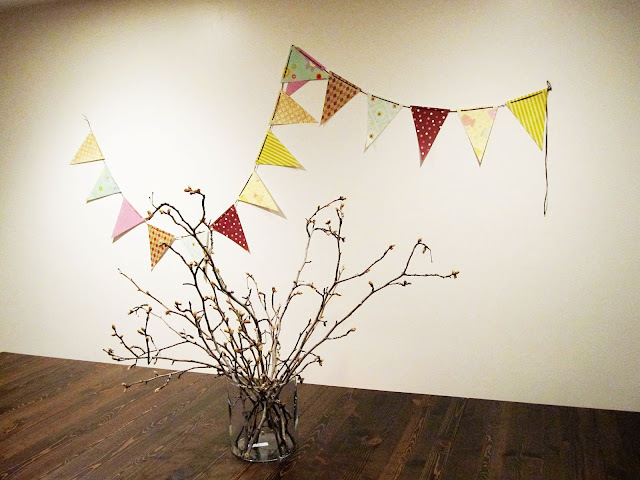 With T’s birthday party prep we’ve been making a lot of banners. They are one of the cheapest ways to make a party or theme pop. 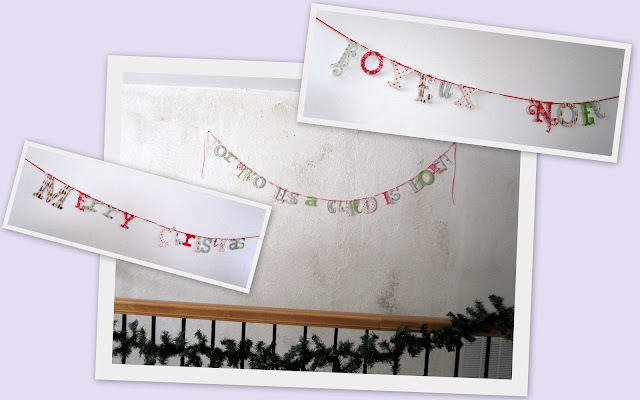 I’ve been meaning to write up a tutorial for the word banners that I had made for Christmas, ummm yeah months ago. So, to make up for the delay I’m going to give you a three-for-one. I’ll show you how to make three different styles of banners: pennant, page and word. 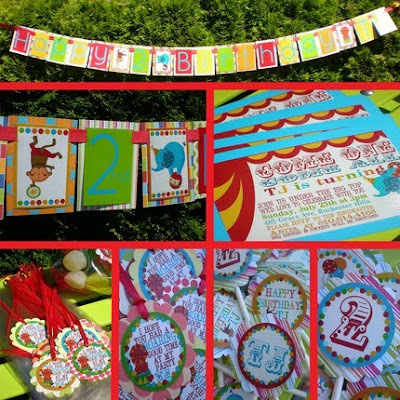 The pennant or flag style banner is like the one I made for Harry Potter’s Birthday party pictured above and for T’s upcoming butterfly party pictured below. The page kind is probably the easiest and quickest but it still can look adorable. We used this for L’s last birthday party and I think it was darling (yeah I know I still need to write a post for that, it was SO cute). Finally the word style is the most time consuming but it’s still pretty cute. I made some of these for Christmas and will hopefully finish a generic birthday one that I can reuse for different people before T’s party this Sunday. Prepare your shapes. 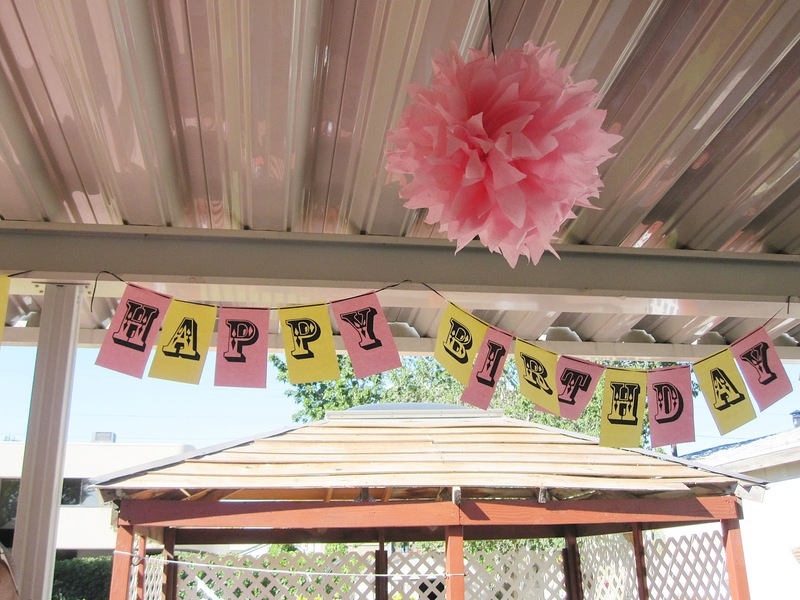 For the pennants cut your paper into triangles, print your letters for the page style and for word style banners cut out your letters. If you don’t have a cutting machine and don’t mind taking the time you can either print out a font you like and trace the letters or if your cheap and don’t want to waste paper and ink I’ve held the paper straight to the computer screen to trace letters before. This is the most time consuming part. Next you want to lay out your pattern. Lay your pages, pennants or letters out how you want them to hang. Thread the ribbon through the holes. Decide ahead of time whether you want a stripe of ribbon to go in front or behind your shape. Take your time you don’t want to rip it after all that work. If you want tape the ribbon to the back of your shapes this will minimize the twisting and make it easier to untangle the banner (yes it’ll get tangled when you try to hang it just expect it so it doesn’t annoy you too much). Hang your banner and enjoy. And if you’ve made a pennant one you probably have little scraps left from your flags. tape them onto skewers throw them in a glass or short vase and you’ve got yourself some super cute little flags. See em in action here. I had SO much fun making this. First because the thought of dressing my hubby up like a tiger and have Lanna be his Cat Tamer seemed so far fetched and freaking hysterical (well at least in my head). Plus I’m just so thrilled with how it turned out. I love it, I haven’t closed the photoshop window since I made it because I love it so much. I made hubby’s tiger costume years ago, Lanna’s outfit is just one of my retro rufflers (but special fabric) and I just threw together the whip and the hat which I think is the funniest thing on earth. Any ways I was just super proud with how it turned out so I had to share. 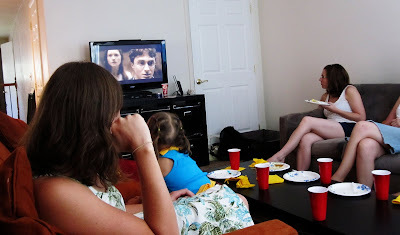 I already shared all the non-food parts of the First Annual Harry Potter Birthday Party here. 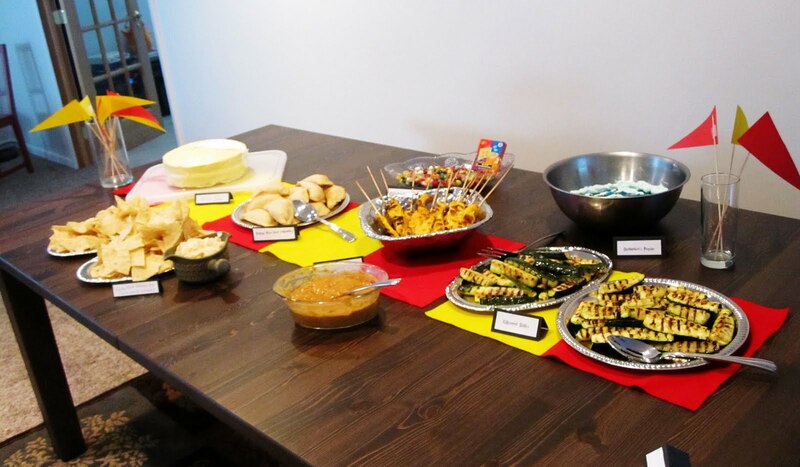 So today is all about the food. 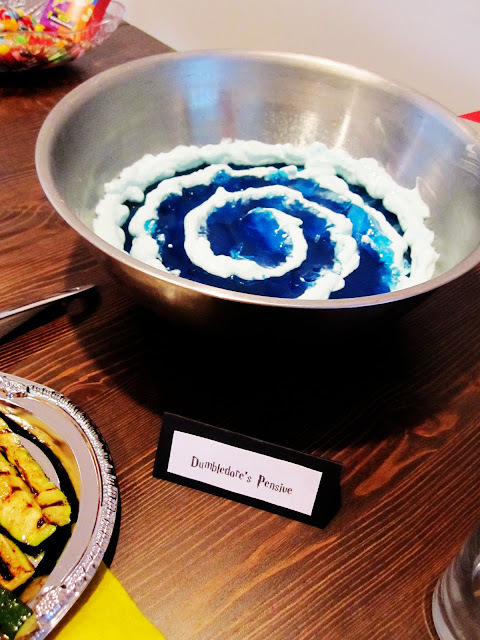 Not only do I adore all things Potter but I love love love party food! 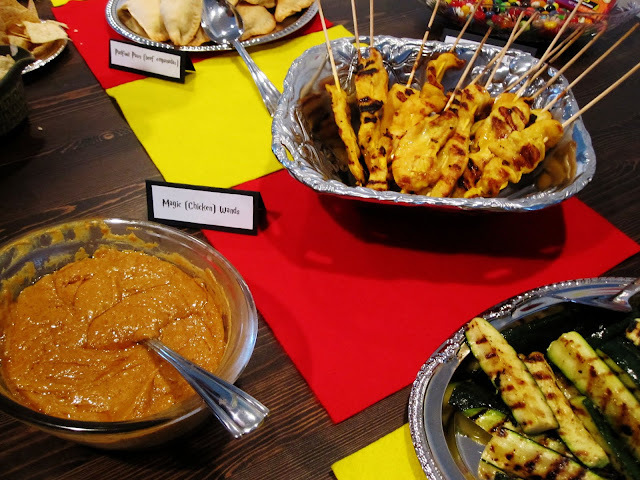 Chicken Satay and Peanut Butter Sauce. For the Chicken I just used a packet of Thai Satay seasoning to marinate the chicken and them grilled them. These are grilled zucchini and although these are insanely simple they are absolutely fabulous everyone. 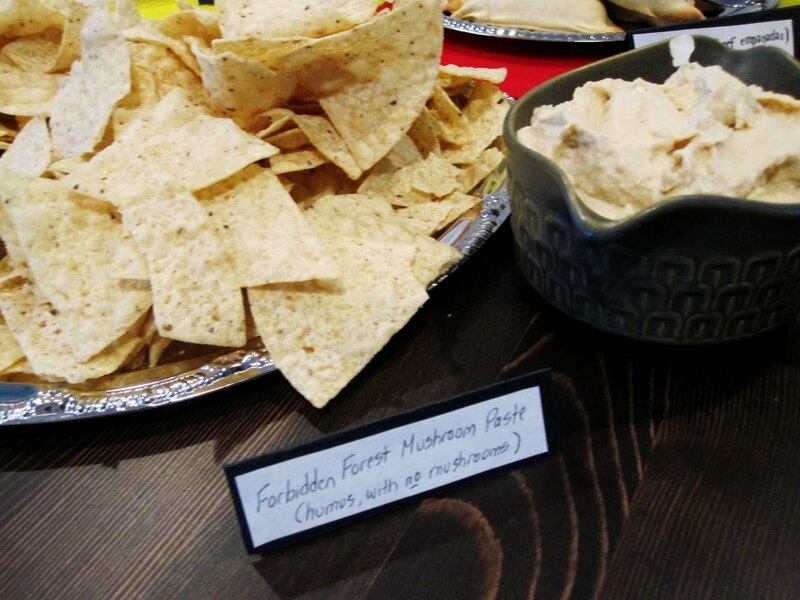 One of my friends shared this recipe and I was instantly won over. I’ve made them multiple times a week since I learned about them. Every one I’ve made them for has love them too, especially the ladies. 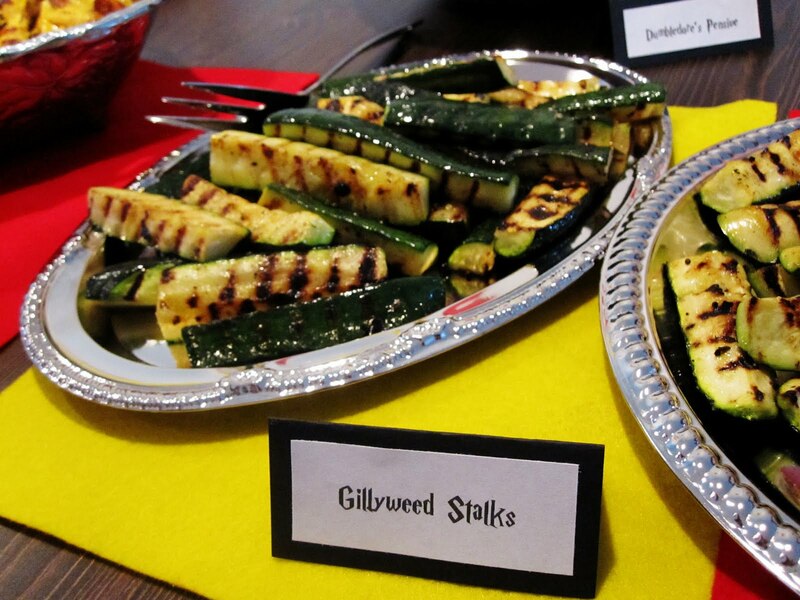 I’m a major fried food person and I think these are better than fries and fried zucchini, just saying. This was a guest addition so I don’t have a recipe but my mom and I loved it so I may be reporting a recipe soon as it was one of the best homemade hummus recipes I’ve ever had. So hubby says he can’t fine the Harry Potter/jellybelly brand ones anywhere (and he’d know) so we got the other brand of gross jelly beans. 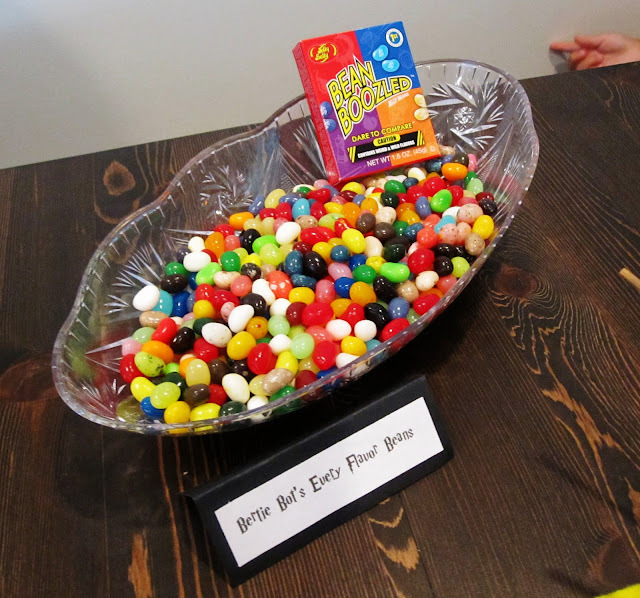 He really wanted to mix them into the regular jelly beans but I vetoed that since I’m already grossed out by mint and coffee in the regular flavors I knew I’d avoid the candy altogether if I knew there was any chance of me biting into skunk or vomit. And as you see I couldn’t even get one shot without a little hand in it. All of these drinks were in the books but I didn’t really feel like going all out nor did the through of butter infused rootbeer (to make butterbeer) sound the least bit appealing. So I just added red and yellow food coloring to lemonade and put labels on the soda and water. 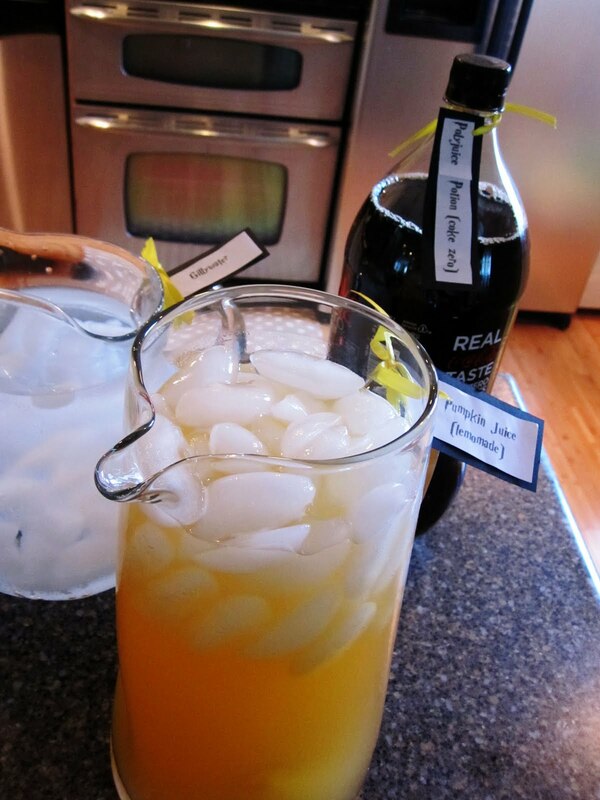 For my movie premier party though I’ll probably make a pumpkin soup. So I dreamed this up and put my sister on it. 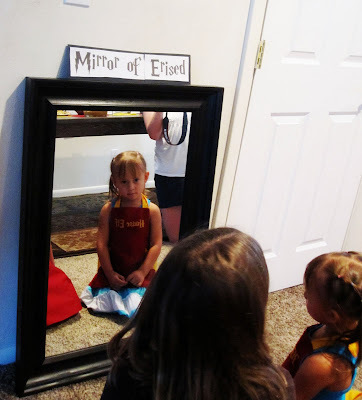 I think she did an insanely good job! 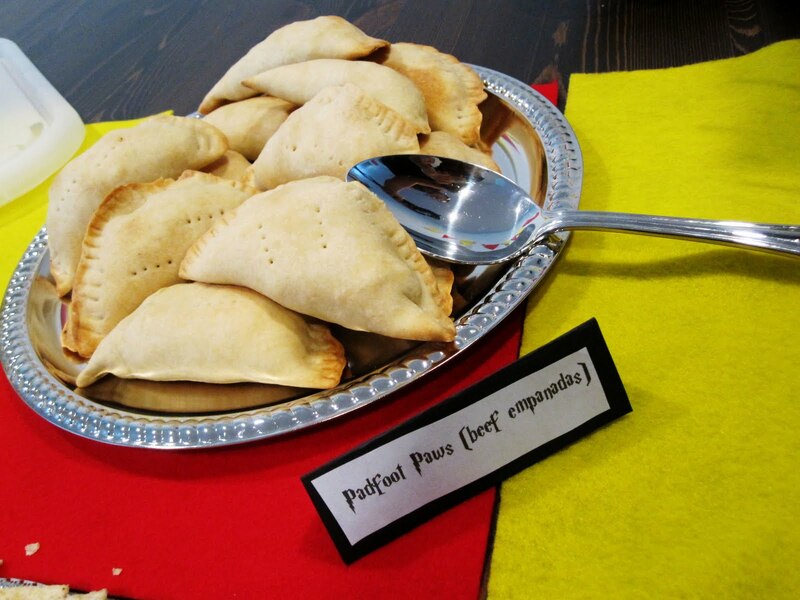 I used this recipe for empanadas. I thought it needed way more seasoning, it was kind of bland. I baked it so obviously I’m sure they’d be tastier fried. I may or may not make them again I thought it had lots of potential but I wish I had tasted the filling before stuffing them and added more salt and other spices since the wrap part wasn’t salty at all, maybe I’d add salt there too. Heidi brought this. 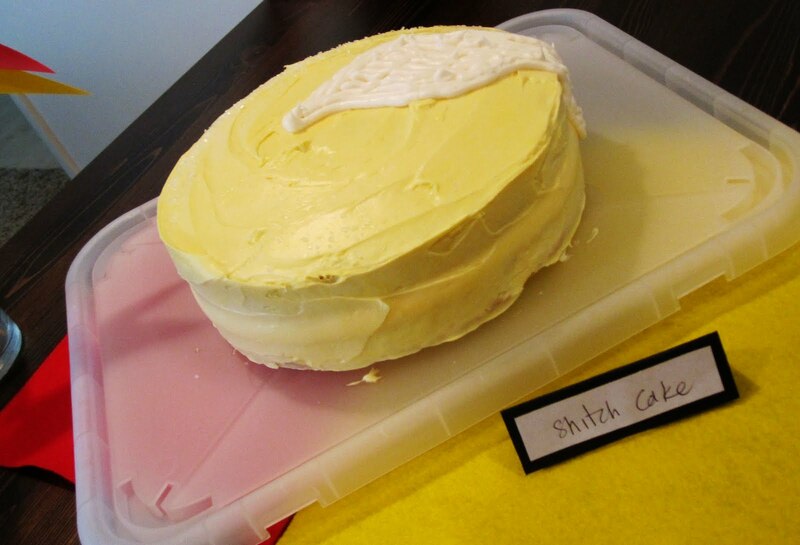 If you don’t remember Mrs. Weasley made Harry a fabulous Snitch cake in the the last book. So cute isn’t it! I’ll be having many more Potter parties to come the next will be this November for the next movie so if you have any other food or party ideas that would fit the theme I’d love to hear it. 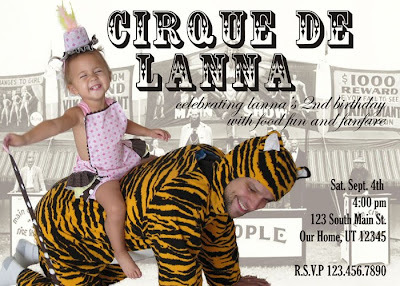 So Lanna’s 2nd birthday is coming up and we’ve decided on a Circus Party theme. 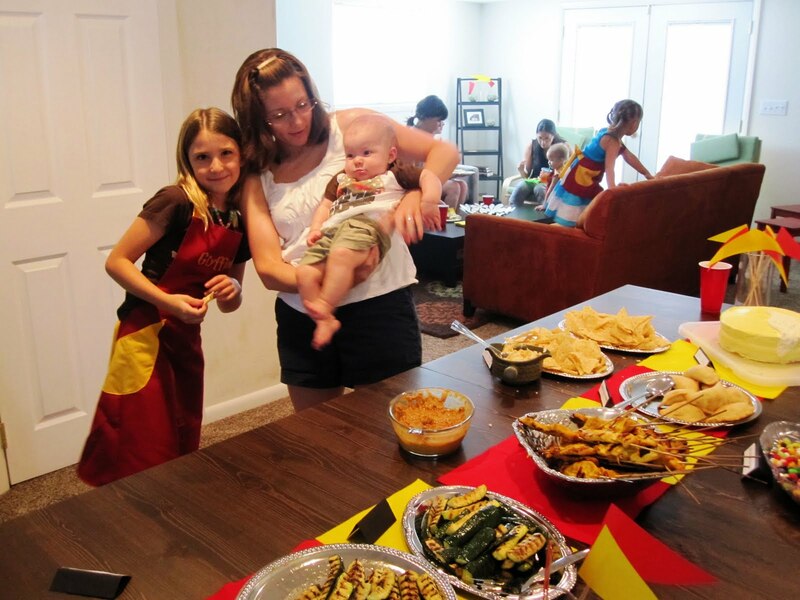 So far we’re planning on doing a back yard party with a few fun stations. 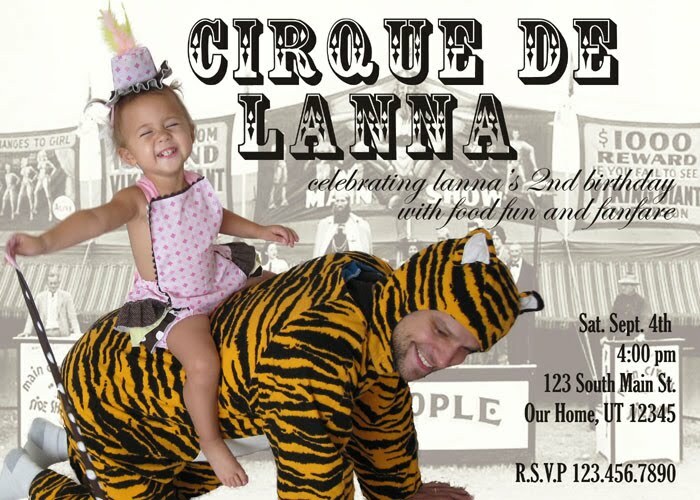 I’m trying to talk Uncle (my hubby) into wearing his tiger costume -or at least the hat part- and letting Lanna be the Tiger tamer. In fact she’s already told him to be a good tiger and waved a strip of fabric at him like it’s a whip so she’s be game if we can talk him into it haha. 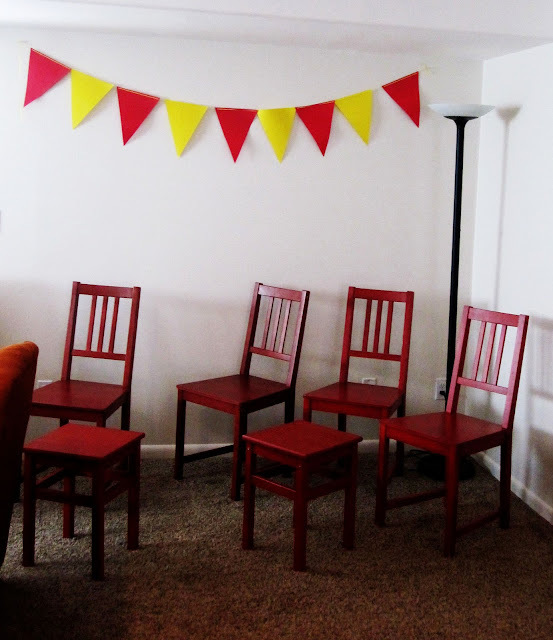 We’ll definitely make decorations and other stuff stuff, I love the idea of banners, and game stations and table decorations. Do you guys have any tips? Details that may add that little specialness? Suggestions? They’ll probably be little kids like 4 and under and adults. Most of you know Tira as just one of the naughties, my little niece that I love with all my heart, that has worn her snow white dress since I finished it on Halloween. 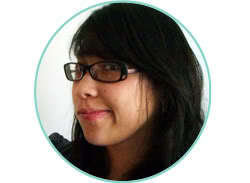 But as far as Rae Gun goes, she really was the start of it all together. 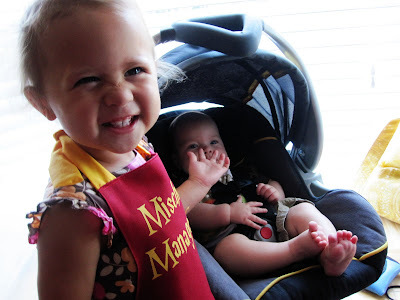 I found out my sister was pregnant with a little girl, I started making clothes for this new baby, people started complimenting me on them, so I decided to give Etsy a shot. 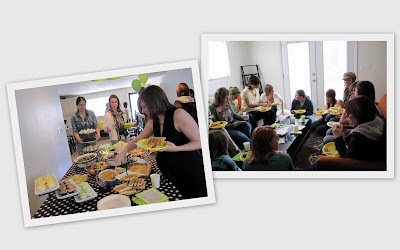 And here we are on her 3rd birthday and Rae Gun is a real business and more. 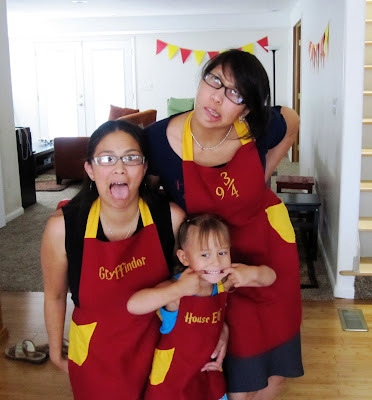 Little Tira gave me back my love for creating, sewing, and celebrating family (others and my own) that hadn’t even realized I missed. 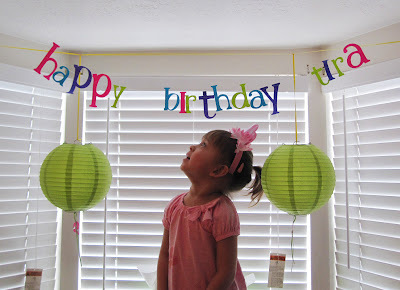 Happy 3rd Birthday sweet Tiraya. 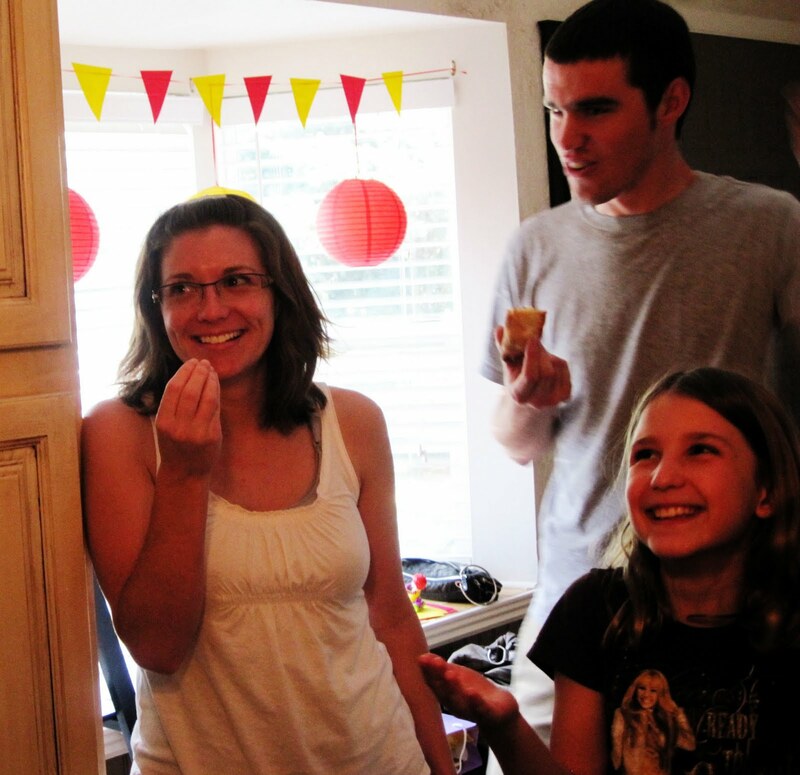 She’s in Thailand with my parents visiting relative for a couple weeks but here are some of my favorite shots of her birthday party that we had last week. Some Highlights: My mom made the cutest Dora and Star Mountain cake. All morning Tira was talking about her “beautiful cake”. We had the playroom set up with balloons and music and disco lights. Of course we had a variety fantastic food and wonderful company. 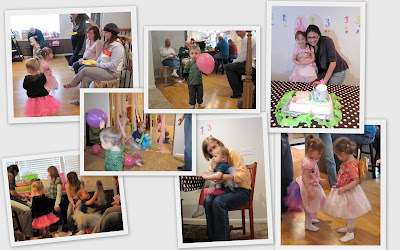 The girls all found the dress up tub and were wearing tutus and petticoats of various types (it was cuteness overload). And Tira received a number of princess dolls which Lanna immediately snuck away with, they were a big hit. Remember that shower, well I finally uploaded and sorted pictures. It was a great time. A wonderful turn out and I think Heidi felt very loved which is the point right? I am so excited for that baby to get here already. Things turned out great. 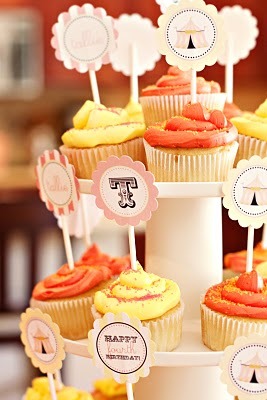 I think everything looked and tasted delicious and I definitely got a good number of complements on my cupcakes. 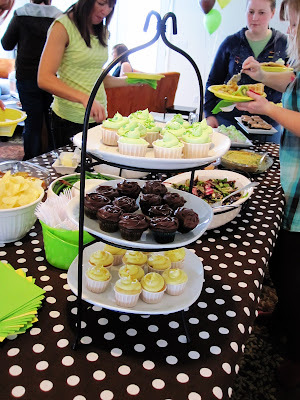 The menu included waffles (including some vegan one’s which turned out great, see the recipe below), fruit, some yummy salads, funeral potatoes (a utah must), asparagus quiche, sausage and egg casserole, french toast casserole, veggies with lemon basil dip and of course the cupcakes. Don’t forget that the lovely shower gift set giveaway ends this Friday so if you haven’t entered or want to tell your friends to enter do it soon. I have the great pleasure of co-hosting a shower for my good friend Heidi. 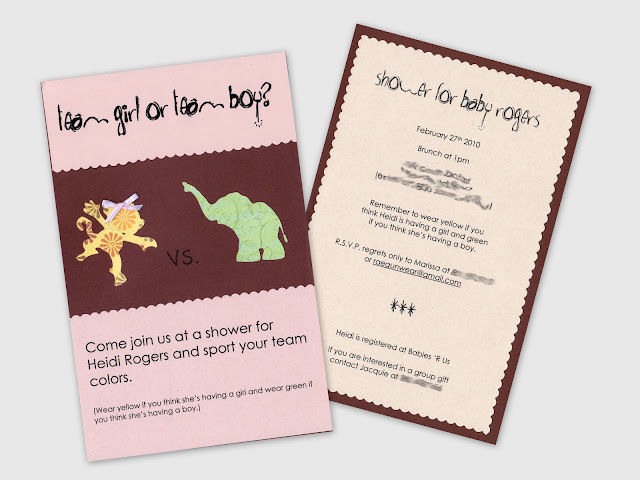 I just wanted to share the little invites we came up with for the shower. It’s my first Cricut project. I woke up at the crack of dawn on Black Friday because I just needed it, but I’ve been so busy that I’ve mostly cut out paper dolls with the naughties on it so it was fun to put it to use. Heidi isn’t finding out if she’s having a boy or girl so we’re having fun with that. We’re asking guests to wear yellow if they think she’s having a girl and green if we think she’s having a boy. I’m super excited that we’ll be having it at our new home, I’ve been practicing my cupcake decorating skills for the event, as you can see I need a bit more practice. Hopefully I’ll have some fun pics to share after next weekend.